Rev. Joseph Sorce was born again at the age of 27 on April 25, 1984 at a local church in Brick, NJ. 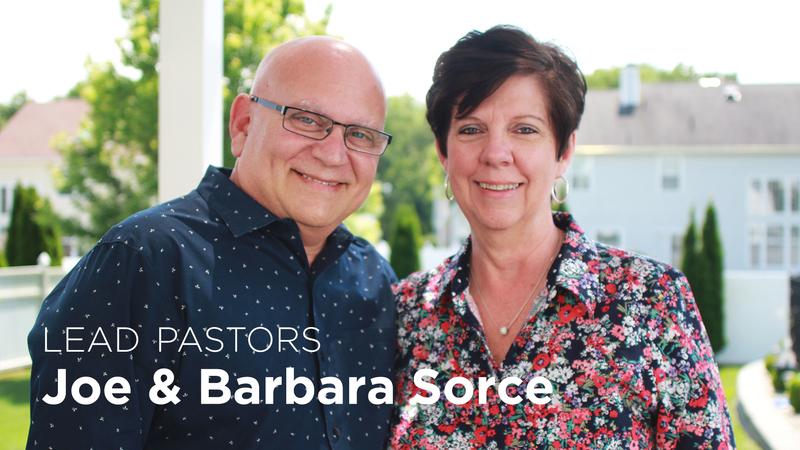 His wife, Barbara, followed him into the kingdom of God a little over a year later, and they began the journey of serving God and His people. For 11 years Pastor Joe and Barbara faithfully attended a local church. While serving in the church Pastor Joe also operated a local food business in Brick which allowed him to develop relationships with people and lead many of his customers to the Lord right in his store. Pastor Joe was involved in practically every area of service in the local church during the 11 years he served before attending Bible school. He was a youth leader, head of the evangelism department, as well as attending and teaching in the local Bible school associated with that church. Always having a sense of destiny on his life, he began to receive leading from the Lord about further training for ministry. It was in the spring of 1995 that he and his family visited Tulsa, Oklahoma and made the decision to attend Rhema Bible Training Center. After completing the two year program, they graduated, and moved back to New Jersey to launch New Beginnings in the fall of 1997. Pastor Joe and Barbara are the founding Pastors of New Beginnings Church and founders of Destiny Community Development Corporation. Joe is a licensed and ordained minister of the Gospel. He and Barbara have been married for 40+ years and have 4 sons; Joe, Michael, Mark & David, and 9 grandchildren.